Cactus proves a turn-off – HubNut – celebrating the average! Oh, the signs were so good. I love Citroens. I love adventurous styling. I positively adore three-cylinder engines. I’m definitely not averse to the pleasures of the turbocharger. Yet when I got to test drive a Citroen C4 Cactus 1.2 Puretech Flair at the weekend, my over-riding emotion was that of disappointment. 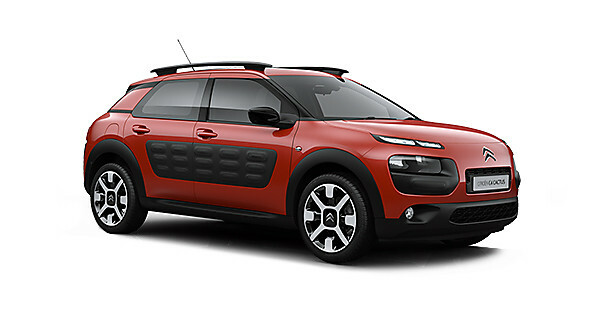 Yet again, Citroen had let me down. You see, there is plenty to like. The external styling is bold, and the interior is very pleasant indeed. Yes, lots of plastic, but it is well styled and nicely textured. But as soon as I started to drive the Cactus, it all went horribly wrong. For a start off, the steering is horribly light, and has a numbness to it which is quite staggering, even by modern standards. Then there’s the suspension. I think they forgot to add any. A Citroen should have a peachy ride. What had gone so wrong? Sad to say but I’m sure the target market won’t care. Some people so blind to fashion that all that matters is the wrapper. That means that large alloy wheels will be specified, even though they’re hugely detrimental to ride comfort (the same is true of the Tesla Model S by the way – ignore the 21″ wheel option!). It also means that on-track road manners seem to matter more than every day comfort. The Cactus is certainly not alone in having these considerable downsides. MINI, I’m looking at you. On top of this, the fabulously thrummy three-pot engine is so muted, that it doesn’t seem to have much fun left in it at all. Punchy, it certainly is – despite only 1.2-litres, 110bhp will whisk you to 60mph in just 9 seconds – but while the acceleration is good, it is somehow devoid of pleasure. Even though the back of the car squats noticeably under power. How does it do that yet remain so uncompliant over poor surfaces? To add to the misery, the seat bolsters are the hardest found in any car since the Peugeot 205 GTi, where they were seemingly hewn from granite. Frankly, it’s all a bit frustrating. Do people not value comfort anymore? It’s not like it’s impossible to make a modern car ride and handle well – The Citroen C5 can manage it, even on coil springs. The Nissan LEAF is another outstandingly comfortable family hatchback. Across a mildly rutted field, the Cactus was horrific. By comparison, a 1950s Citroen Bijou over the same field was as smooth as if it was on unruffled asphalt. Is this meant to be progress? The French used to be the masters of ride AND handling. I really don’t understand how things have gone so wrong. Given the horrendous state of many of Britain’s roads, you would have thought a compliant suspension would be top of everyone’s lists when forking out over £17,000 on a car. Apparently not.